Both tragedy and delight for the Danes at the Hong Kong Open. 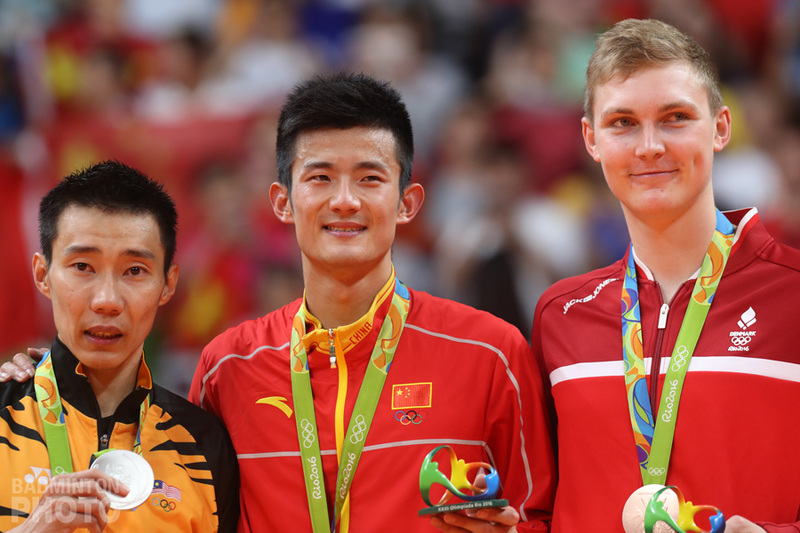 Anders Antonsen blew his last chance to compete in Dubai, after a tremendous match against Olympic champion Chen Long. On the other hand Denmark has two title chances left in the doubles. The first of these opportunities lies in the mixed doubles. Mathias Christiansen / Christinna Pedersen will have a second chance to win a first ever Superseries titles as a pair. However, they have to overcome Zheng Siwei / Huang Yaqiong, the same pair that kept the title at the China Open a week ago and prevented the Danes from taking the crown. 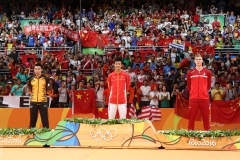 Zheng and Huang had few problems defeating compatriots Wang Yilyu and Huang Dongping. Nevertheless Christiansen and Pedersen seem to be growing to a new high, as they haven’t lost a game throughout the entire tournament. What a turnaround for Mads Conrad-Petersen / Mads Pieler Kolding in comparison to last year’s visit to Hong Kong. Ousted in the first round in 2016 by Malaysians Ong Yew Sin / Teo Ee Yi, they’re now battling for the title. In the semis, the Danes overcame Takuto Inoue / Yuki Kaneko 20-22, 22-20, 21-15. They’ll face first seeded pairing Marcus Fernaldi Gideon / Kevin Sanjaya Sukamuljo. Like their Danish rivals, the Indonesians would love to make up for their performance last year, where they too lost in the first round. Unfortunately the Danish good news show couldn’t be continued by Anders Antonsen. 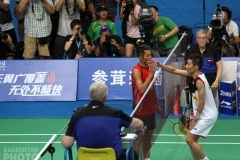 Struggling in the beginning of the match, the young shuttler lost the first game 14-21. He found his way back into the match and got the second game with 21-19. 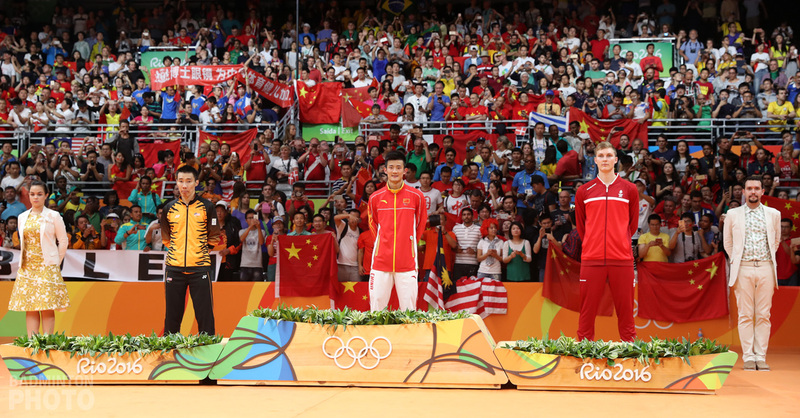 In the deciding rubber the Olympic champion required 4 match points to win 21-17. This means Antonsen is now out of the race for Dubai. Chen Long on the other hand can claim a new bag of points after Hong Kong, as he already got 11,000 of them from Fuzhou and he will be invited to the Superseries Finals. Another Dubai competitor, Lee Chong Wei, will be on the other side of the net tomorrow. All cards were already played for Dubai in the women’s singles. All 4 contenders in the semi-finals at Hong Kong will also head to the Middle East. 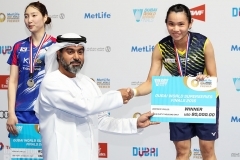 Tai Tzu Ying was not destined finish at the top of the Superseries table, but she still marched on as the defending champion in Hong Kong, defeating Sung Ji Hyun 21-9, 18-21, 21-7. A much more convincing performance from P. V. Sindhu, who won the battle of the 22-year-olds up against Ratchanok Intanon 21-17, 21-17. For Sindhu, it is only her second victory against her Thai rival in six meetings. She can now prepare herself for a repeat of last year’s final. 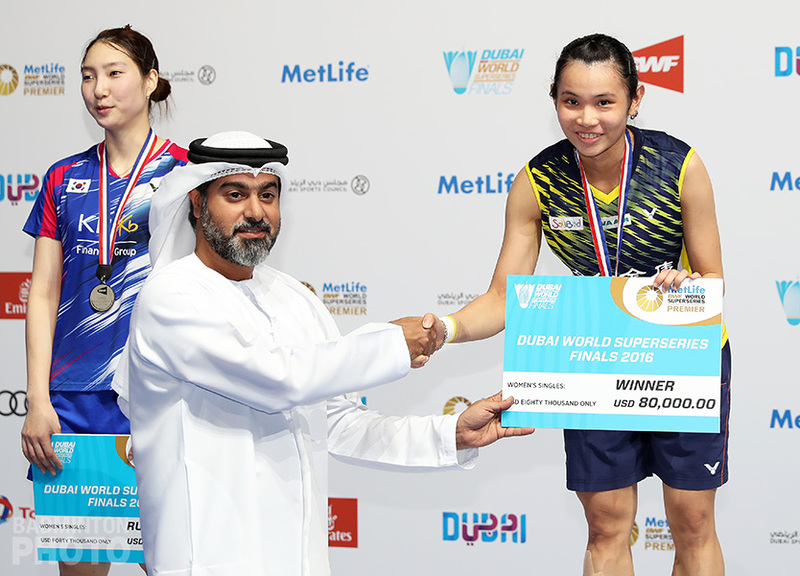 If Greysia Polii / Apriyani Rahayu win their final tomorrow, they will replace Hsu / Wu at the finals in Dubai. It will also mean they will have beaten their fourth Chinese opponents all through the tournament. So far, the Indonesians have been victorious against Du Yue / Lin Yinhui, Huang Yaqiong / Yu Xiaohan and Huang Dongping / Li Wenmei in the semi-finals. Will they have the strength to beat top seeds Chen Qingchen and Jia Yifan as well? Tai Tzu Ying is odd one out? ?